From previous issues it seems Julian Edgar and his fiancée own two Lexus LS400s - an early '91 model and a later '98 model. I'd like to get an LS400 but, since I can't afford a brand new model, I would like to ask a bit of advice. A nice '91 model goes for around £3k to £4k (8k to 10k AUD) in the UK; a good '95 model (facelift version) from £6k (15k AUD); and a '98 model (with VVT-i) from around £12k (31k AUD). Is it worth spending twice as much to get a '98 model over a '95 facelift model (I'm presently thinking about a '95 or '96 model)? Is the improvement in performance and extra trick bits worth the extra cash? I think the '95 model is a fair improvement over the '91 model, but perhaps the '98 model is not such a big step from the '95 model? Also, the reliability of the LS400 is well known - is there anything that you know now from having the '91 and '98 models in your family that you wish you'd known about when buying them - particularly the '91 model? It'll be a stretch for me to afford the '98 model, the '95 model is within budget and the '91 model will leave enough cash to spring for a new kitchen. Any advice would be extremely welcome. The '98 model is certainly worth twice as much as the facelift '95 model. 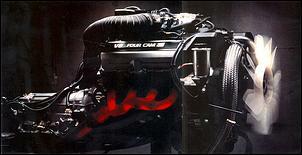 The '98 LS400 gets VVT-i to boost power by 16kW and improve torque spread throughout the rev range. It also gets a 5-speed auto trans (rather than a 4-speed), stability and traction control, HID headlights and four airbags as standard features. 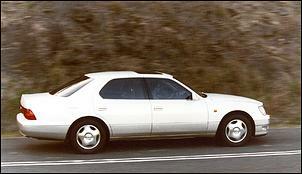 The facelift '95 LS400s are much the same as the '91 models, except traction control and twin airbags come as standard. Traction control is only an option on the '91 models. Things to look out for? Not a lot, but the earlier models are now 10+ years old and you need to find one with a top service history. Oil consumption (possibly due to a leaking rear main seal) and transmission problems can be experienced in models with moderate kilometres - fixes are not cheap. I have been a member for a while now I wholly support your work in unbiased reporting. Having just read your article "Utter Crap!" and several other such articles over time, I have learned to view some publications with scepticism. One rarely, if ever, hears about other magazines being threatened because they wrote a negative review. Seeing that it happened to you on several occasions must mean that you hit a sore spot that a manufacturer didn't want revealed. Keep up the great work. Michael - in regard to "Utter Crap" - you have my full sympathy and understanding. AutoSpeed is, and has always been, more than a car mag. Your stories are lessons of physics, of mechanics, of thermodynamics and of scientific approaches to solve problems. Every article you publish I relish, regardless of whether it is relevant to the cars I'm driving. That is until now - have I just paid for your whinging? I have a question regarding knock sensors and I figure you might be able to provide some useful insight considering your electronics grounding. I'm running a Mazda B6T (1.6-litre, 4-cylinder DOHC Turbo) with EMS aftermarket fuel/ignition control. Naturally, the EMS doesn't accept a knock sensor input (like all the local programmable systems), but I was wondering is it possible to use the knock sensor output in some useful way? 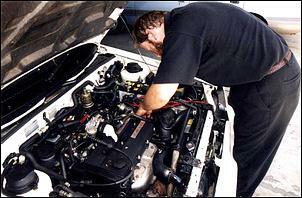 Could I, for instance, set up a row of 10 LEDS like the basic air/fuel ratio meter kit? Maybe I could just use some sort of gauge or flashing light? If something useful could be done with the factory knock sensor I think it'd be rather useful - and I do realise that factory knock sensors have some limitations. You can find a few aftermarket knock meters on the market (Safeguard, Jaycar and Link, for example)or you can build your own detonation headphones for just a few dollars. See "DIY Detonation Detection - Part 1" for details. I enjoyed (as always) the pair of articles on the Monaro. Julian's opinion article was both factual and interesting, but John's was (apart from a few facts) generally just emotion.This is not to say that I totally agree with Julian. 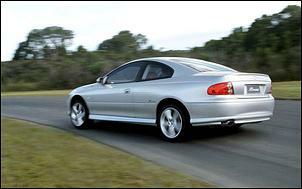 I (like John) feel quite passionate about the Monaro given it's Australian content and the undeniable good looks. However I do believe facts are facts - the figures do not lie. I think it is however important to also look at the business case for Holden going ahead with the Monaro project and judge the sales success on this.Correct me if I'm wrong, but the business case for the Monaro was based on selling 10,000 units over its 3-year life. With sales last year of 4,274 units I'd say that it's probably not going to be too far off the 10,000 mark by the time 3 years is up (given the shape of sales figures for sports cars). So, therefore, I'd say that in Holden's eyes the Monaro has been a successful venture. Now when you consider that they have managed to bridge the waters to the US (thanks Bob Lutz) with an estimated 18,000 units pa - I'd call that a HUGE sales success. Keep up the good work. The 4-cylinder turbos like the STi, which "aren't in the hunt" due to their lack of torque actually accelerate faster than the Monaro. But I guess the rear-wheel-drive makes up for that because it's heaps better for steep driveways and slippery boat ramps than 4WD, isn't it? I don't really care if John believes the crap marketing hype but I certainly don't want to pay to hear about it. Otherwise, great mag - I love the tech articles and broad variety of vehicles covered. Cheers. Regarding "The Incredible Success of the Monaro" article by John Guard... The Monaro is a nice sports car, it just doesn't cut the sales numbers - no matter how many competitors you discount as being "different sports class". Apples with apples as they say... Quite frankly, and let's face it, John Guard should pull his head out of his arse and realise, as many people already have, that a two door Commodore is not that appealing to everyone - especially after the excessive pre-release hype. An old saying John, "a turd is still a turd, no matter how hard you polish it" - and that sums up the Commodore with no back doors. Get over it!